Bernd Hollin and Alexander Radoske both studied architecture in Darmstadt — Germany. 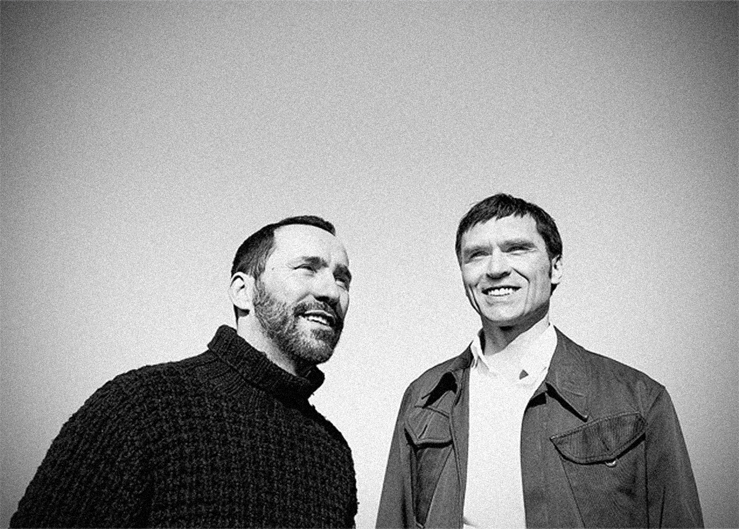 1997 they founded the architecture and design office Hollin+Radoske in Frankfurt Main. Together with 18 architects and designers the team develops architectural and interior concepts for airline design, hotels, residential architecture and shop design. The architecture office Hollin + Radoske stands for the conceptualisation and design of high-end architecture and interior design concepts, with particular focus on the areas hospitality, retail and residential housing. Located in Frankfurt, the office works nationally and internationally on smaller and larger scale projects. With an exclusive, detailed and sensitive material choice and thought-through design Hollin + Radoske achieve atmospheric, emotional space compositions and a precise brand communication. For optimum results and a coherent appearance, the architects enjoy to work in close cooperation with the client, from the consultation to the design and the styling and finish. Characteristic of the work of Hollin + Radoske are long-term client relationships to companies such as Lufthansa and Hugo Boss. Hollin + Radoske Architekten was founded in 1997 by Bernd Hollin and Alexander Radoske. Both studied architecture at the Technical University Darmstadt (TU Darmstadt) in Germany.